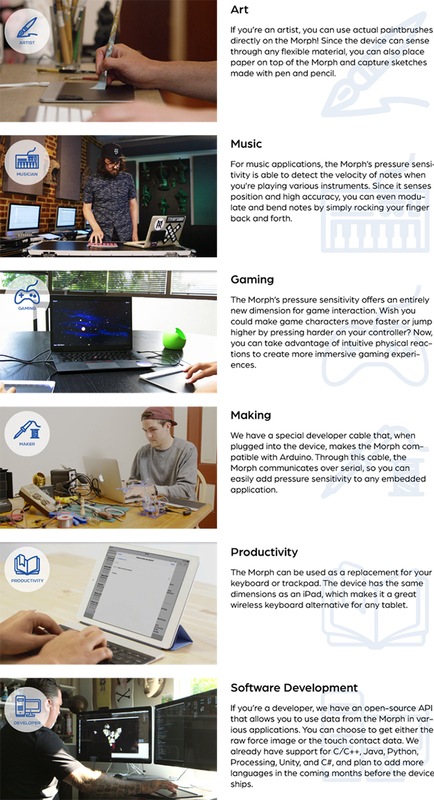 In this music technology review, we look at Sensel Morph, the first pressure-sensitive, multi-touch input device that enables users to interact with the digital world in a new way. 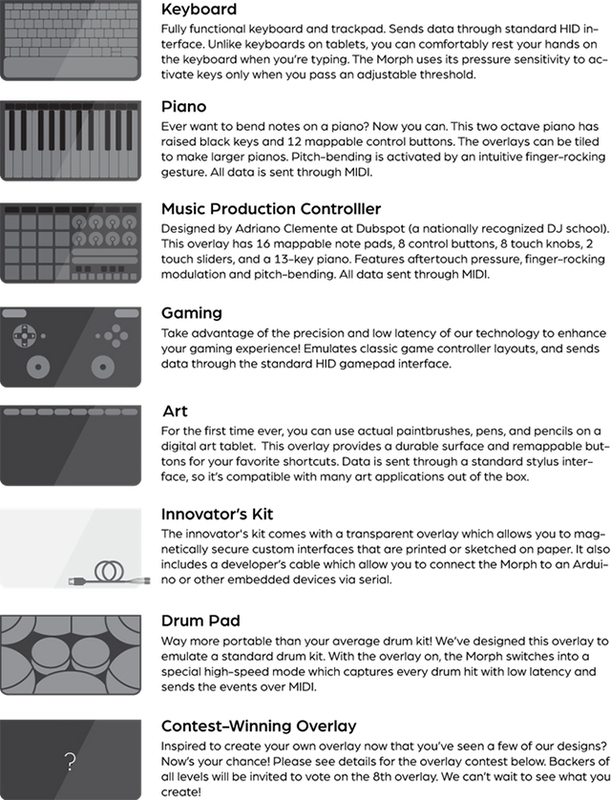 The Kickstarter project has raised over $390,000 and has recently worked with the Director of Dubspot Labs and senior instructor Adriano Clemente, to create a new interface for music production and live performance. The Sensel Morph is a new type of input device that allows people to interact with computers and programs in a whole new way. Powered by Sensel Team’s patented Pressure Grid technology, the Sensel Morph contains 20,000 pressure sensors that detects a range of pressures along with multi-touch, allowing it to detect any object. The Morph can detect not just your fingers but any object, from a paintbrush to a drumstick. The inspiration behind “Morph” is to address the mismatch between the expressive capabilities of our hands and the restrictive interfaces of today’s devices. Sensel set off on a mission to enable new ways of interaction with digital devices and allow Morph users to unleash new possibilities in the worlds of music, art, gaming, and beyond. Unlike other touch-sensitive devices, Morph allows you to use the same device for a wide variety of hobbies and interests. The big idea behind Morph is that it can transform or “morph” into different devices. You can have ONE device that does it all, rather than requiring you to buy a separate device for an art tablet, another for a digital instrument, another for a QWERTY keyboard, gaming controller, etc. The Sensel Morph comes to life through the use of various customizable overlays that turns the device into virtually any tool or instrument imaginable. The Overlays are optional “physical apps” made of a thin, flexible layer that you can place over the device to provide a visual “map” and tactile feedback for each mode’s unique functionality. The Sensel team recently worked with the Director of Dubspot Labs and senior instructor Adriano Clemente, to create a new interface for music production and live performance. Stay tuned to see what Adriano creates with the Sensel Morph! Check out some creative ways users are interacting with Morph. Adriano Clemente, the director of Dubspot Labs, creates an original track, Josh Ellingson digitally paints with real brushes, Ray Kampmeier controls a robot arm, and Joshua Davis creates responsive art. Once upon a time, two entrepreneurs with extensive backgrounds in the consumer electronics industry met while they were working at Amazon. A few years, brainstorms, and inspirations later— Sensel was born. 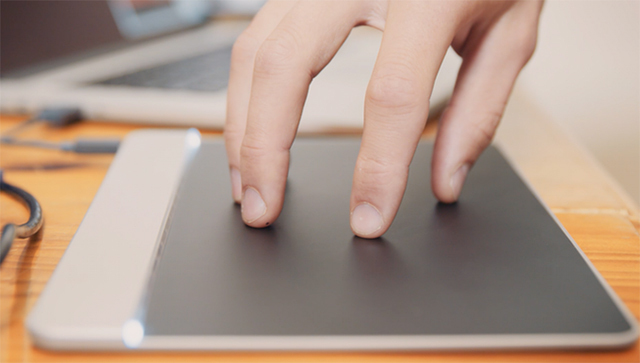 Sensel is developing the next generation of input devices. With our multi-touch, pressure-sensitive technology, we seek to outperform existing industry-standard touch solutions in accuracy, latency, and power, while offering an extra dimension of control in the form of force sensitivity. In addition to making traditional modes of user interaction more expressive and intuitive, our technology enables a wide range of new and exciting applications. Whether you’re a tech hobbyist, a DJ, or a game developer— let our technology be the tool to fuel your innovative spirit. Learn much more about Sensel Morph and how to get involved with the “Morph” community here.